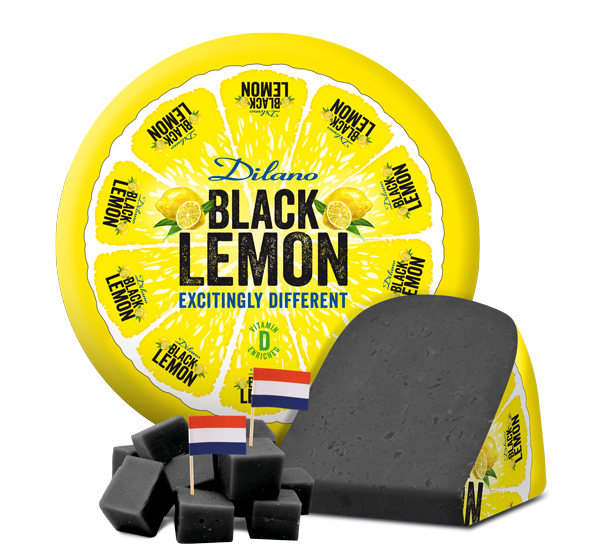 Extremely tasteful with a delicious, refreshing lemon flavour, enriched with vitamin D and a finishing touch of charcoal, Dilano Black Lemon has ‘goth’ it all! Charcoal is not only interesting for creating great pictures to show on Instagram, but supports the purification of your body as well. 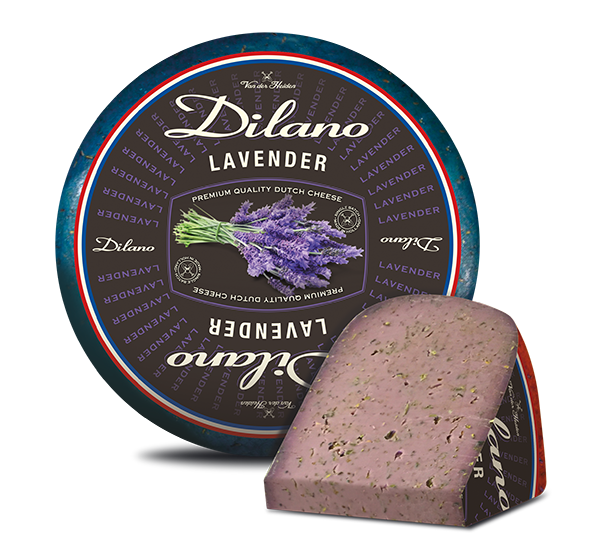 With Dilano Black Lemon, Van der Heiden Kaas is responding to the ‘blackened food’ trend, which is seen right across Europe.This new, trendy product cannot be missed on your cheese platter and is very representative of modern cuisine trends. It is not just a little different, but excitingly different! Dilano Black Lemon – 50% f.i.d.m. 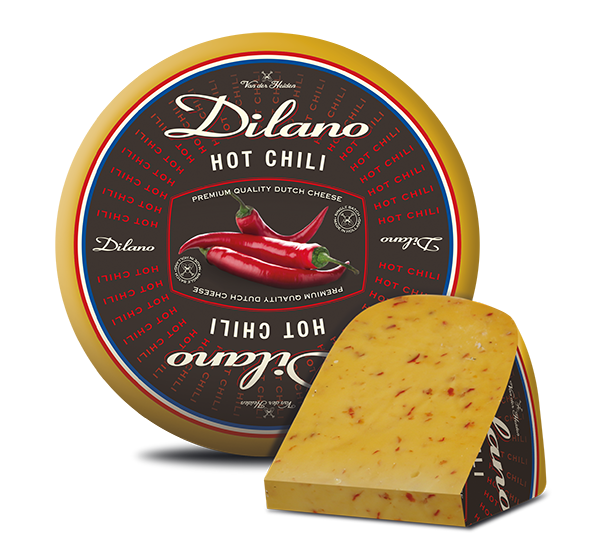 Dilano Hot Chili – 50% f.i.d.m. Dilano Fine Herbs – 50% f.i.d.m. Dilano Nettles – 50% f.i.d.m. 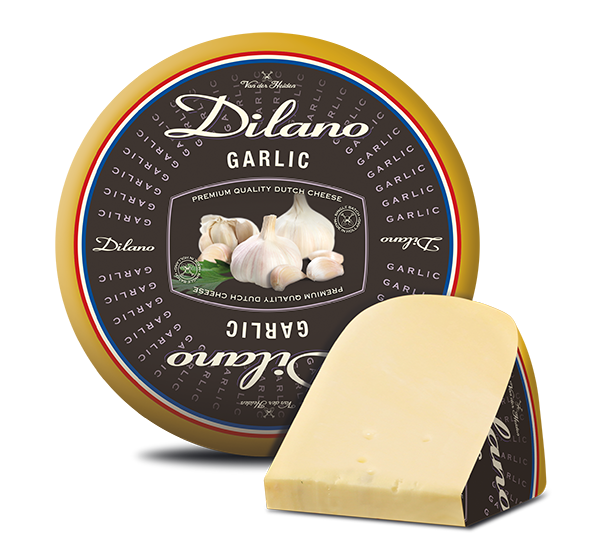 Dilano Garlic – 50% f.i.d.m. Dilano Olive Tomato – 50% f.i.d.m. Dilano Walnut – 50% f.i.d.m. 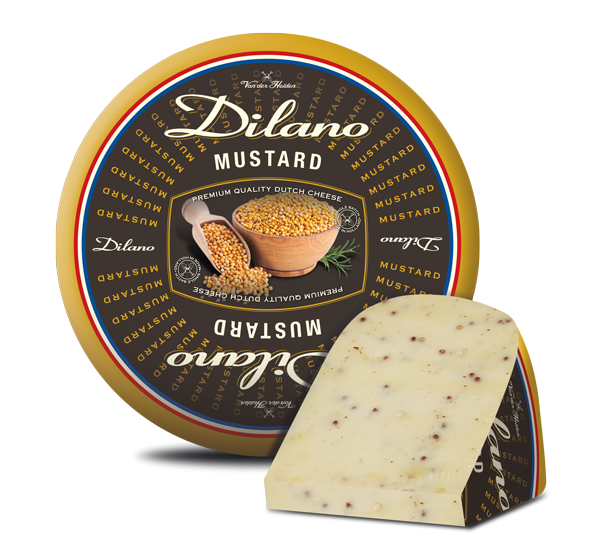 Dilano Mustard – 50% f.i.d.m. 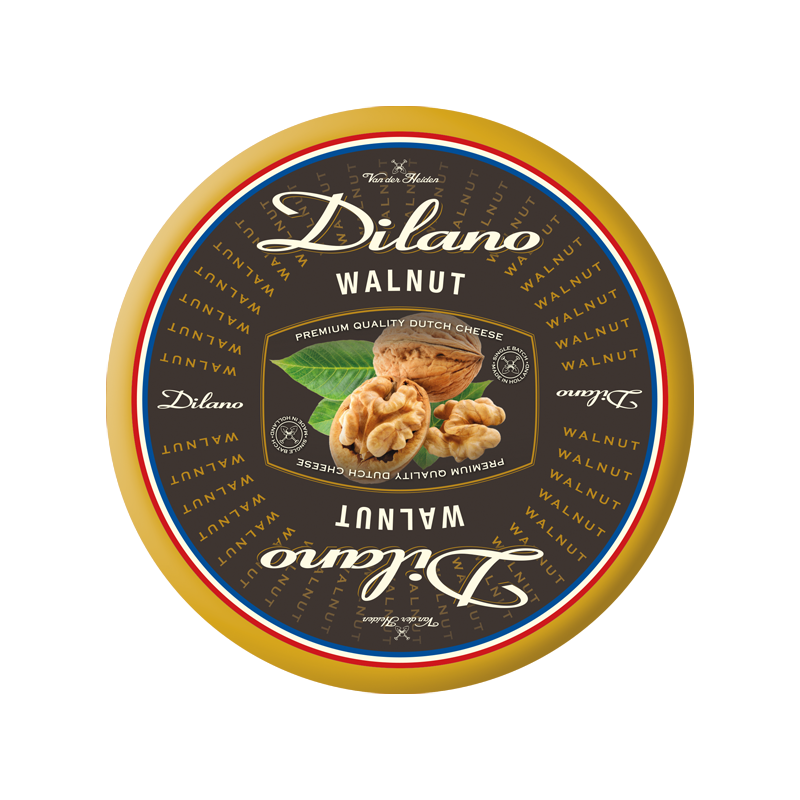 Dilano Fenugreek – 50% f.i.d.m. Dilano Cumin – 50% f.i.d.m. Dilano Pepper – 50% f.i.d.m. 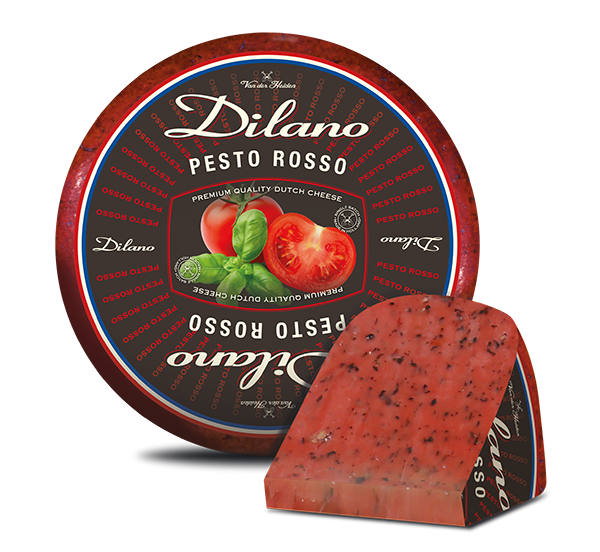 Dilano Pesto Rosso – 50% f.i.d.m. 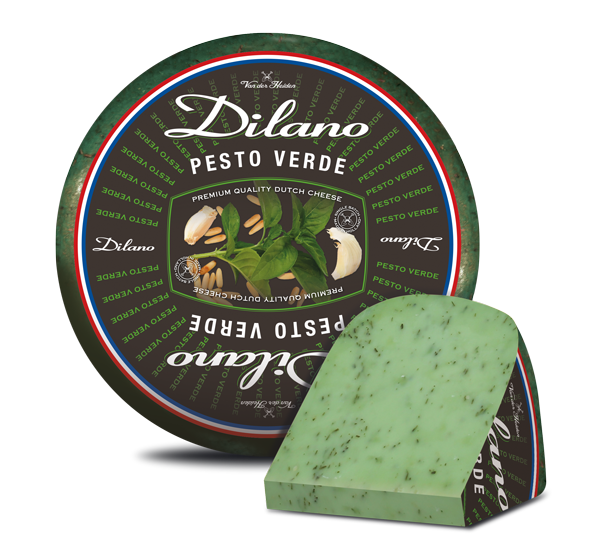 Dilano Pesto Verde – 50% f.i.d.m. Dilano Truffle – 50% f.i.d.m. 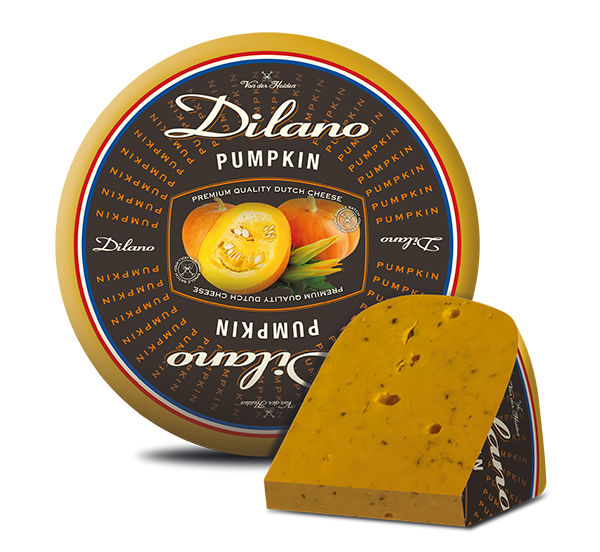 Dilano Pumpkin – 50% f.i.d.m. Dilano Lavender – 50% f.i.d.m.